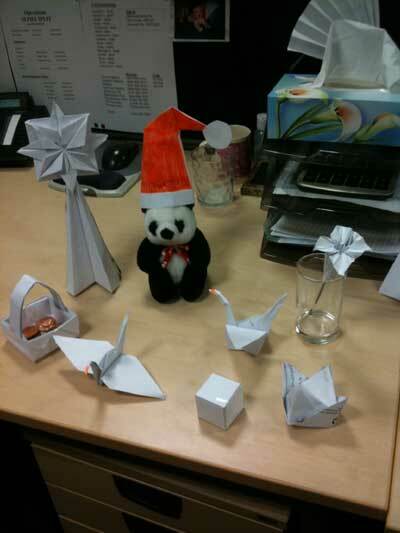 Here's a fun and rather easy origami for the whole family - make your own Santa hat origami! Start off with a red origami paper. 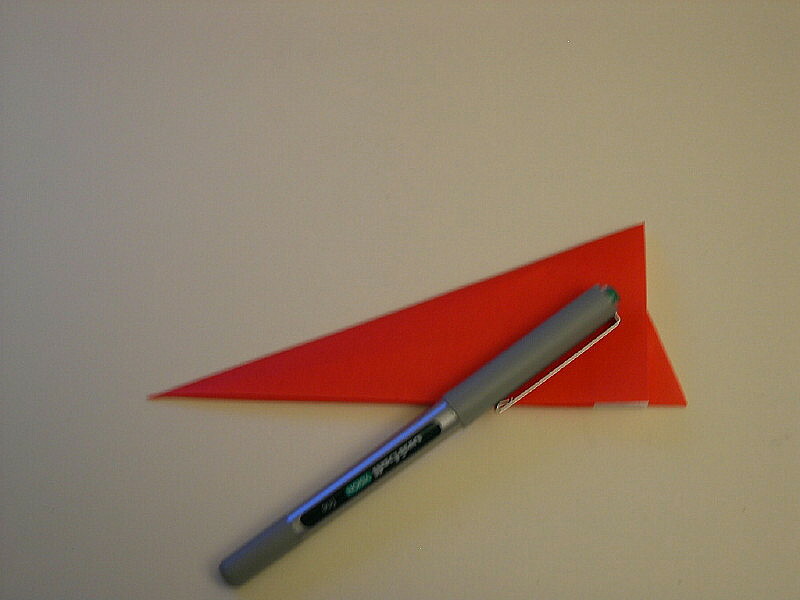 Fold the paper into a triangle by lining up the bottom tip with the top tip. Open the paper up and you should see the crease in the middle. Now flip the paper over and fold down half of the top part at an angle and voila! Now this was made with a 6" square paper so this origami santa hat is a bit small. Start off with a larger piece of paper to make a real size hat that can fit a child or adult.